Scarring, illness or infection caused by a tattoo procedure can affect your health, confidence and bank balance. In many cases these problems are avoidable – so you may be entitled to compensation. See our simple answers below to some of the questions you may have about your tattoo claim. 1. Can I still claim even if I’ve not sought medical attention? Yes – but you should seek medical attention if you have a skin complaint or feel you’re experiencing problems as a result of tattooing. More important than any tattoo claim is your immediate health, so speak to a doctor if you’re worried. As well as the obvious health reasons, this will create a clearer record of the help you’ve sought. 2. What if the tattoo parlour or tattooist isn’t insured? 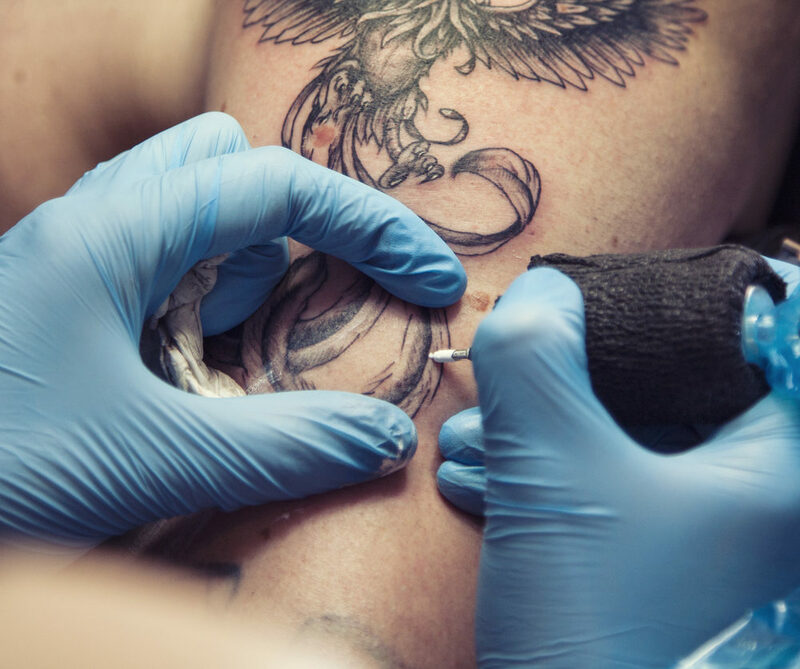 If you’ve chosen a tattooist or establishment without insurance, it can be a lot harder to pursue a tattoo claim. An uninsured tattoo parlour may not have the means to pay compensation that you’re due – the correct insurance will at least cover this. In future, always make sure you have confirmation of a tattooist’s insurance details – but for a current claim, please contact us to discuss your options. 3. Do I need proof, such as booking confirmation or receipts? If you do have a receipt or booking card, keep this as it’ll form part of any evidence that you attended your tattoo appointment. Facebook messages, emails or even photos taken while you were in the tattoo parlour could also help your case. But if you don’t have any of these to hand, don’t worry, help could still be available. 4. Is scarring normal on a tattoo? Itchiness, redness, irritation, pain and swelling are all common in the weeks following a tattoo procedure. But if you’re following the correct aftercare procedure as instructed, these should soon fade. However, some people are left with permanent and severe scarring as a result. 5. How long does the tattoo injury need to last? If you’re experiencing the expected discomfort that often follows in the first few days after a tattoo, you probably have nothing to worry about. But if your problems persist, seek medical attention and the advice of an experience tattoo claim professional. 6. Does it matter where I had the tattoo? We’re assuming you don’t mean ‘which part of your body’ – so if you’ve had a tattoo at somebody’s home, or while on holiday, that could affect your claim. In fact it’s extremely difficult to pursue compensation for a tattoo injury or accident abroad, as the regulations in a non UK country are different. If your tattooist doesn’t have a tattoo parlour and performed the procedure at their home, it doesn’t necessarily mean you’re out of options. Home tattoo studios are still subject to the same regulations and many are covered by the correct insurance, meaning you could still have a claim. 7. What if I like the tattoo? Even if you liked the tattoo when it was first done, or are happy with the design itself, you can still pursue a claim. Maybe you’ve had tattoos previously from an establishment or know the tattooist personally – this doesn’t mean your health should suffer. ‘In fact, the majority of tattoo customers are pleased with their purchase and often go back for further work. ‘But sometimes problems can occur and affect the wellbeing of people, who may need to seek compensation as a result. ‘We’d always recommend people do the proper checks and research before letting a needle anywhere near them. To discuss your tattoo claim options with a member of our specialist hair and beauty injury team, please call us on 0161 358 0800.